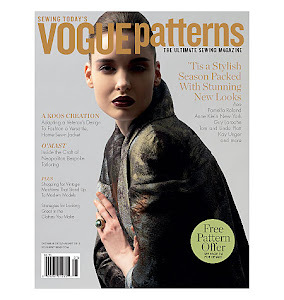 Something Old That's Something New: Simplicity 4971! 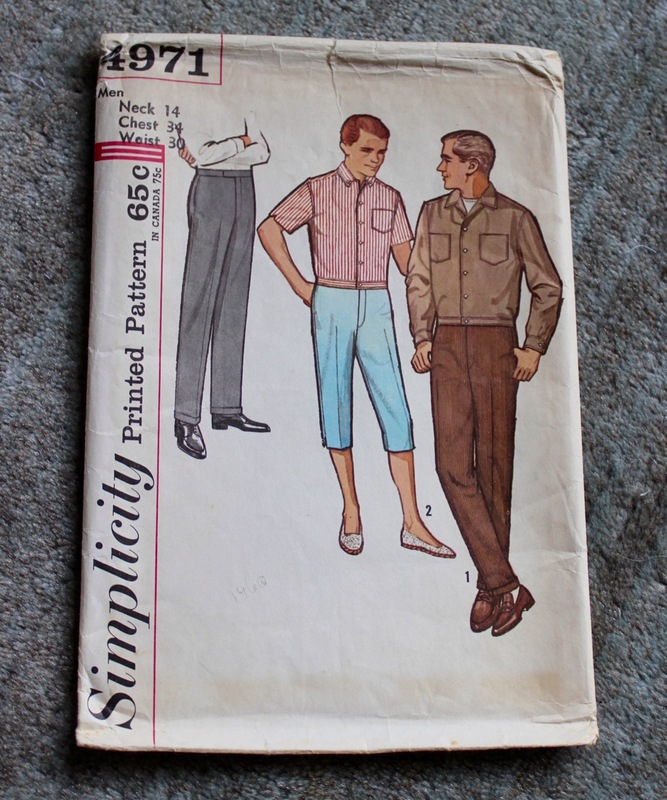 Simplicity 4971, which dates back to the very early 1960's, is one of those vintage men's patterns that proliferate on sites like Etsy and eBay and looks pretty unremarkable. 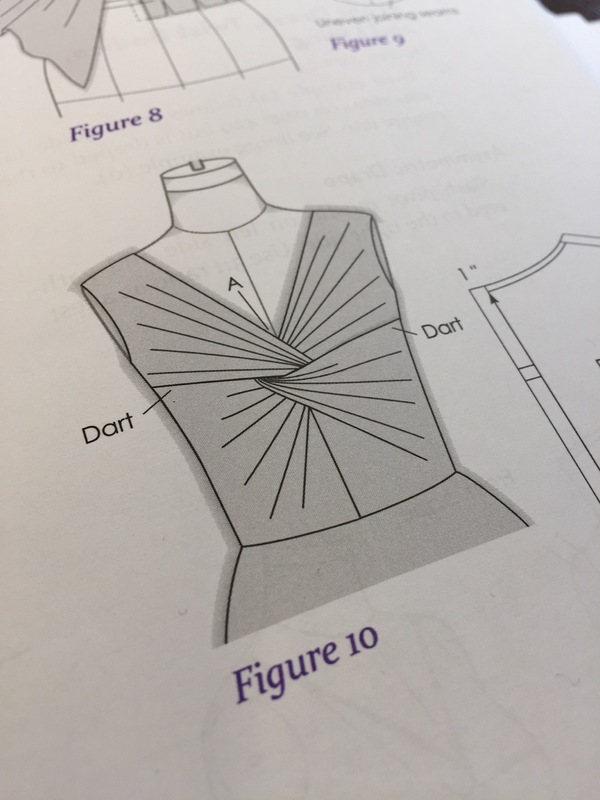 For my final project in Draping IV at FIT, due this coming Saturday, I have to design both a dress and a jacket. 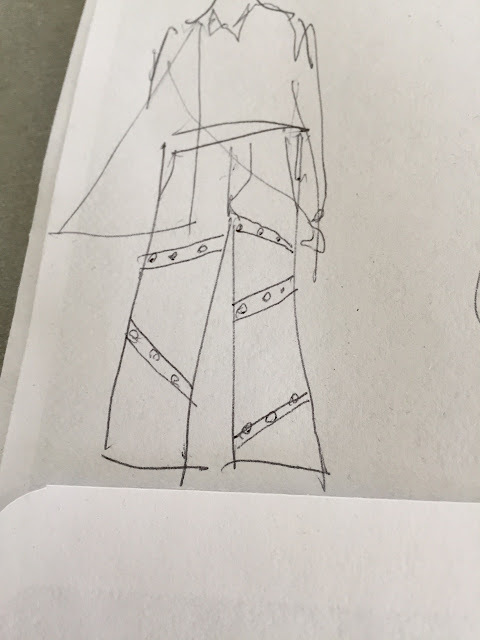 Not much of a sketch, I know, and it's on the back of an envelope (above), but this is the design I came up with as one of my final projects for the menswear patternmaking class I've been taking at FIT (Fashion Institute of Technology). 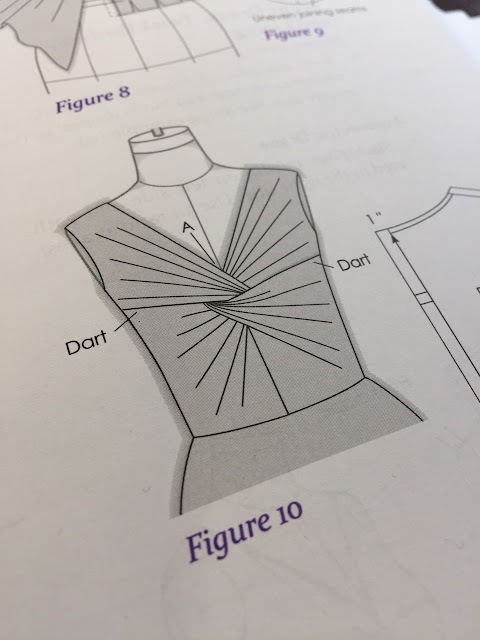 It's due next week. 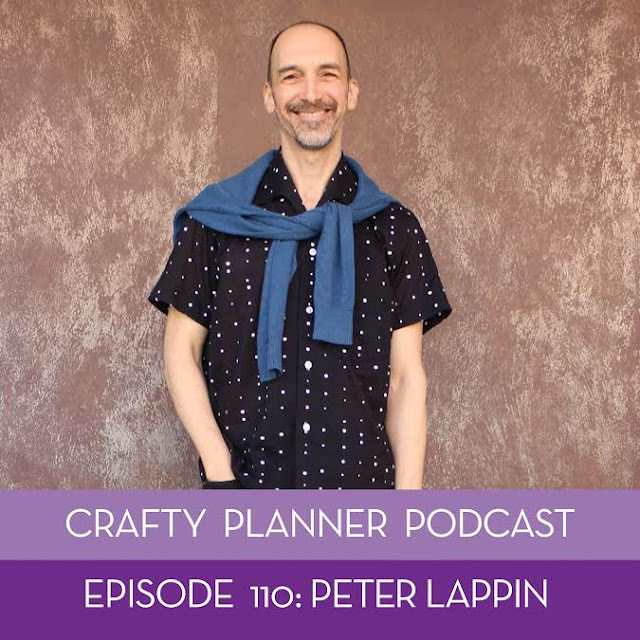 Friends, I'm thrilled to share with you a podcast interview that Sandi Hazlewood, who runs the excellent Crafty Planner blog, recently did with me. 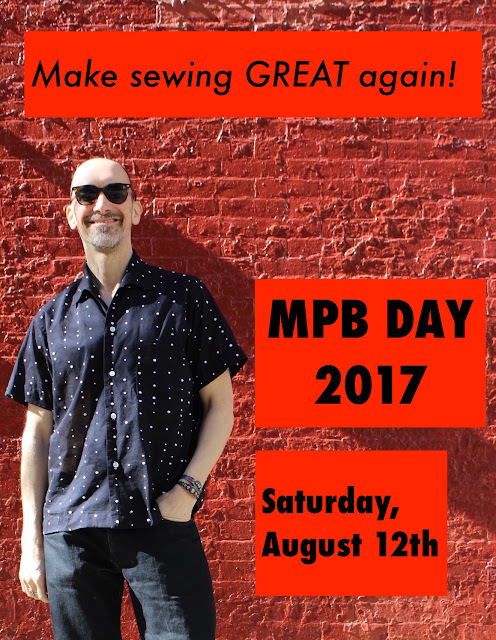 Among other things you'll learn how I taught myself to sew, the origin of MPB Day, and when I was born -- not 1984 as is commonly believed. 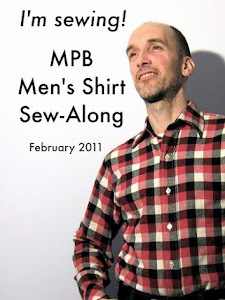 You can tune into it here. 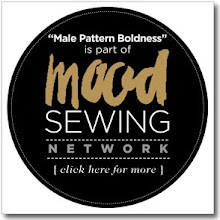 And do check out Sandi's other podcasts here. 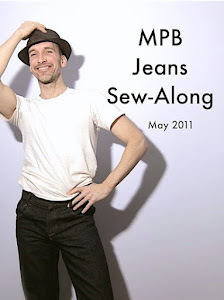 Enjoy and have a great day, everybody!